The Power Patch Panel is the heart of our PoE extension system – providing media conversion and power at the head of your system. Equipment here is connected to our remote GatorLink units using a hybrid (fiber/copper) cable in order to extend PoE beyond 90 meters. The Power Patch Panel is available in 2U and 4U sizes. The panel can accept different configurations of Power Supply Modules and Media Conversion Modules. 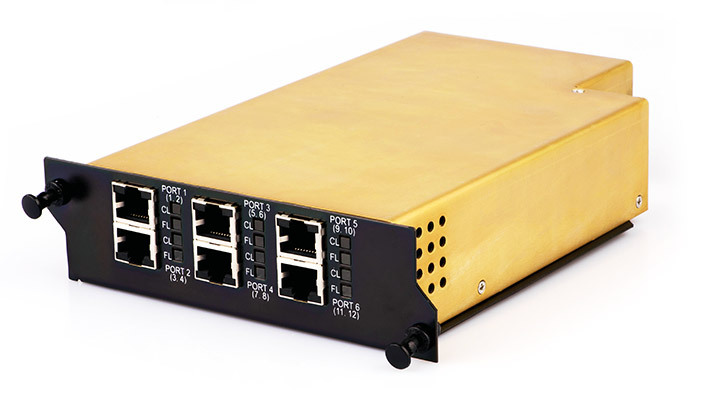 Power Supply Modules provide the necessary power to the Media Conversion Modules and other media conversion units such as a GatorLink that has been connected to a remote location using a Hybrid (copper/fiber) Cable Assembly. 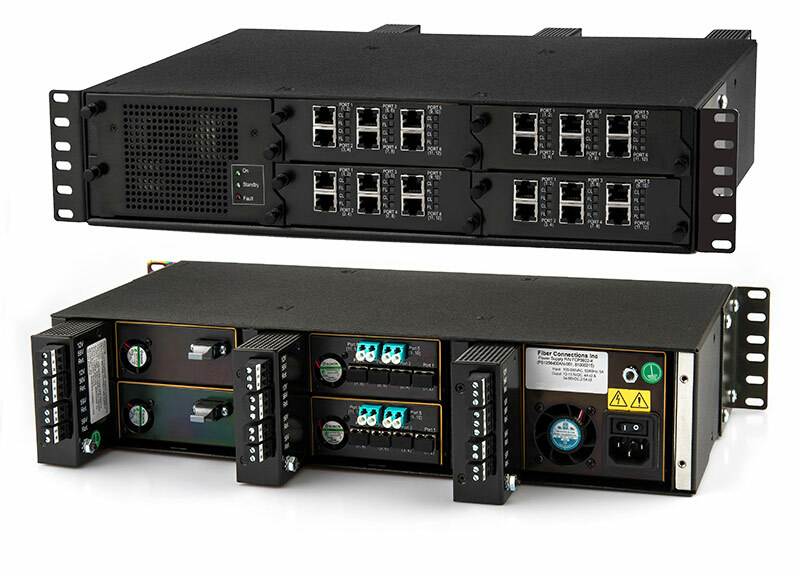 By consolidating all of the power for your remote devices at the head-end of your system, you can easily backup your entire system using a single UPS. 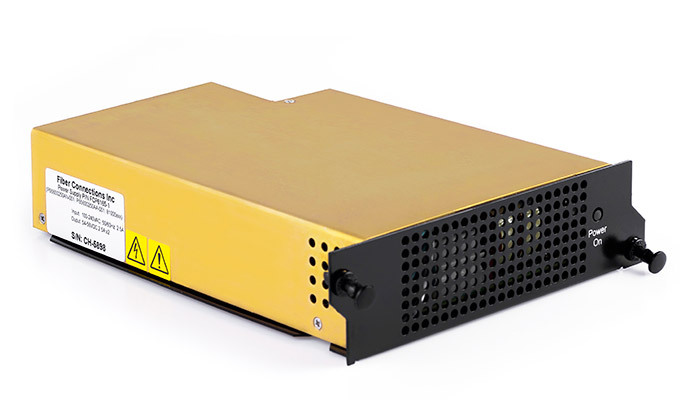 The 4U chassis will accept up to 12 Media Modules. Media Modules come with up to 6 RJ45 ports at the front and use either MTP or LC connectors at the rear. 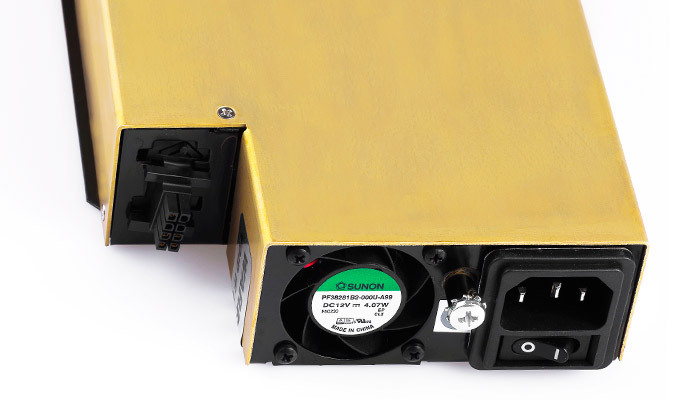 Each Power Supply Module will provide up to 250 watts of AC power.